After spending over a week in Phuket, we were looking for a change from the busy Patong beach life. Krabi seemed like an excellent place to visit, and so off we went on a very long bus ride to Krabi from Phuket (the trip was much longer than the advertised four hours!). 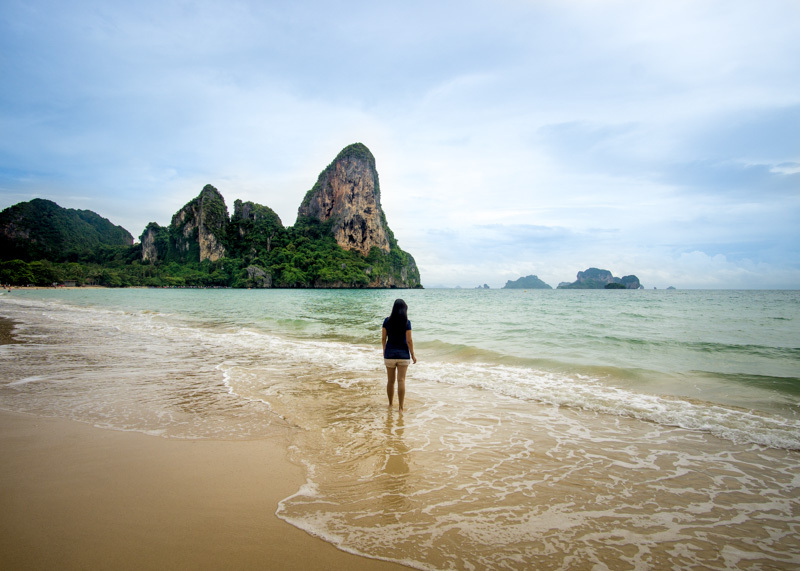 Ao Nang was what we were looking for given that it is a small beach town with beautiful views of limestone cliffs. We figured we couldn’t go wrong with that combination and we couldn’t be more right. 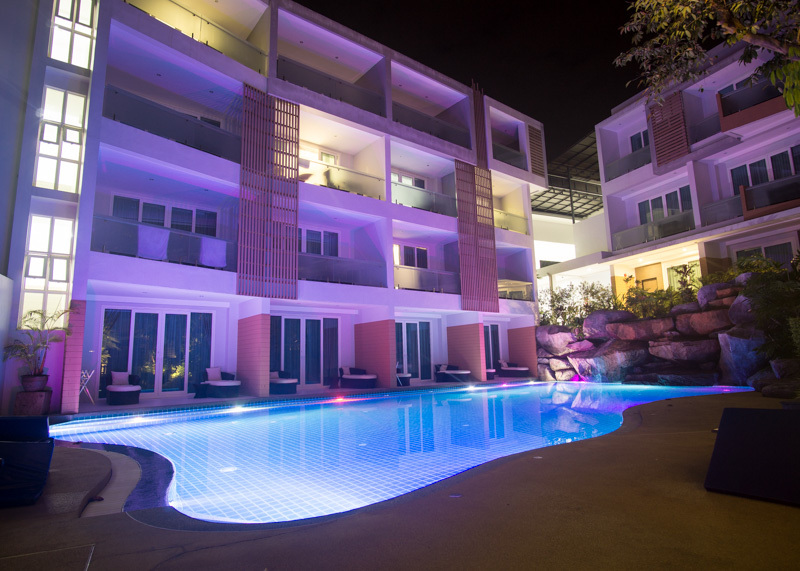 While there are many accommodation choices in Ao Nang, the L Resort was perfect for us. 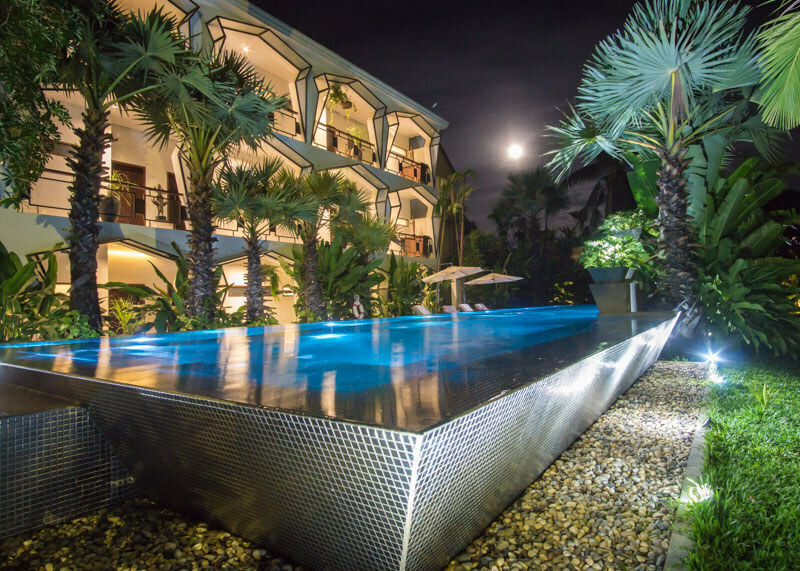 Set in the heart of Ao Nang and across the street from the beach, this resort offered everything we needed in this beachside area. This resort has an interesting backstory that spans over 25 years. 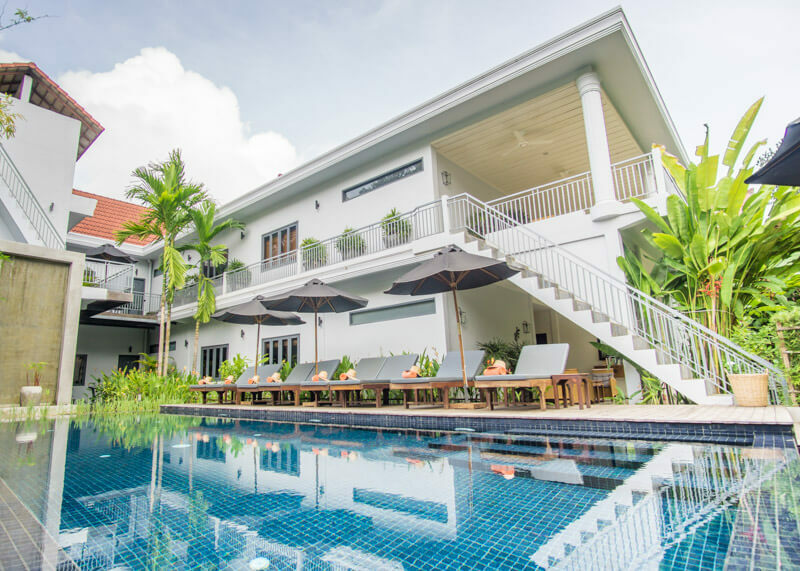 The property started as the Backpacker Bamboo Bungalow Hotel in the early days. 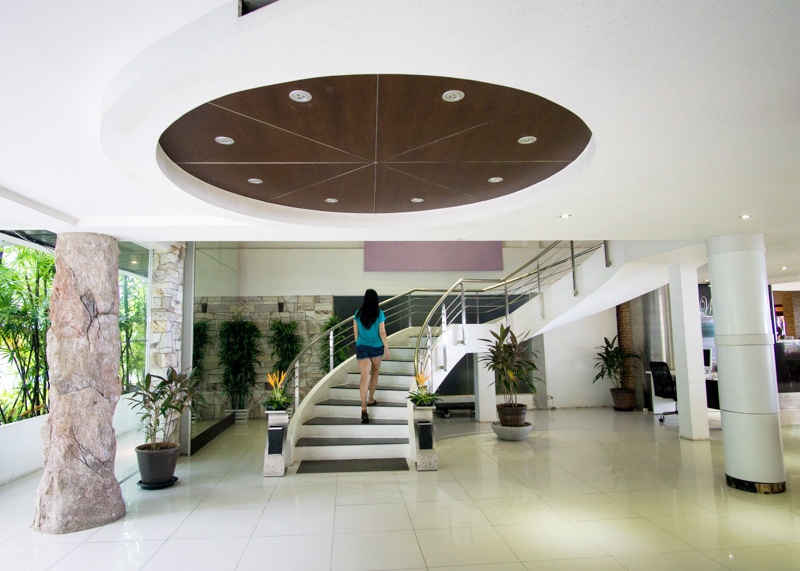 Over time, the accommodation transformed into a 4-Star Hotel before rebranding to The L Resort Krabi. The first building began construction in 2011 and the second building opened its doors to guests in 2015. The shift from a backpacker place to a resort is an interesting one and in line with the trend that follows Ao Nang. This sleepy beach town used to be a backpacker hotspot before becoming a destination catered to general travellers. We stayed in The Lite Room with a pool view on the first floor. 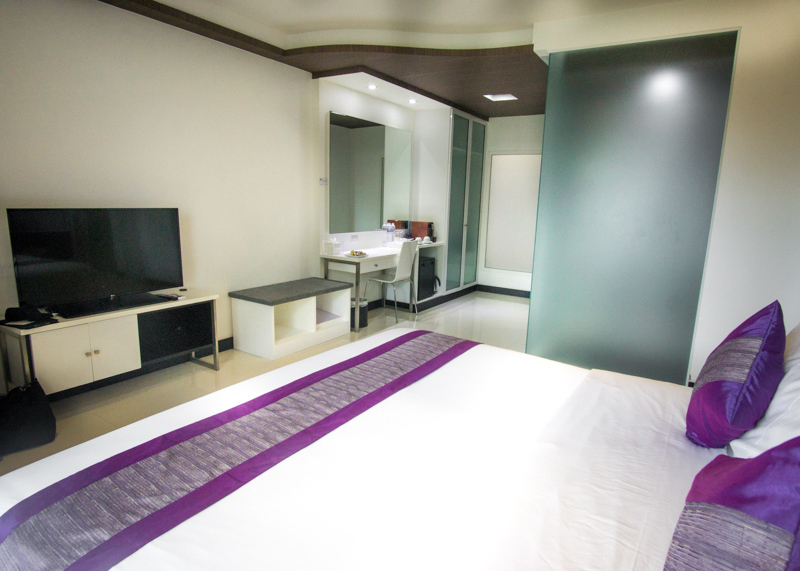 At over 430 square feet (40sqm), this hotel room was the right size for the two of us. The layout was functional and practical, while modern in its design. 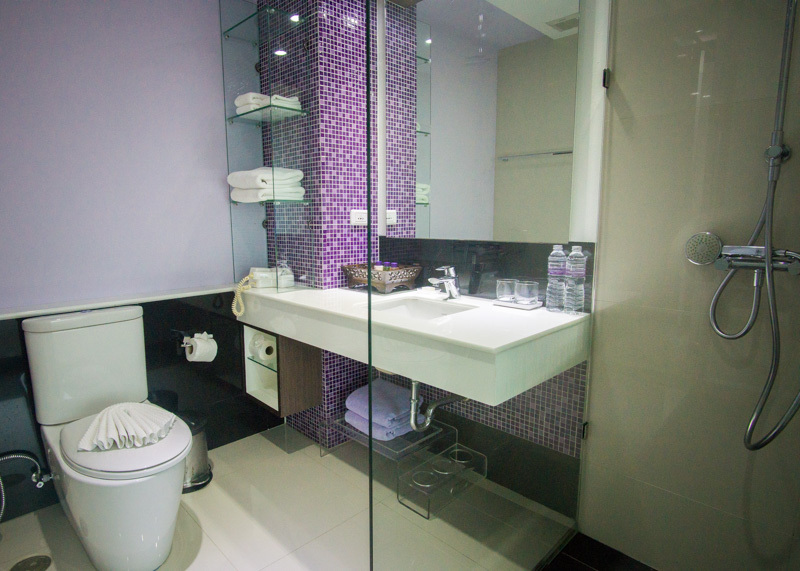 Because I have an affinity for bright colours, I loved the use of lilac to offset the whites in this hotel room. We were in room 27, which is near the end of one of the two properties. It was very peaceful and quiet where we were at; we barely saw anyone walk by our window. 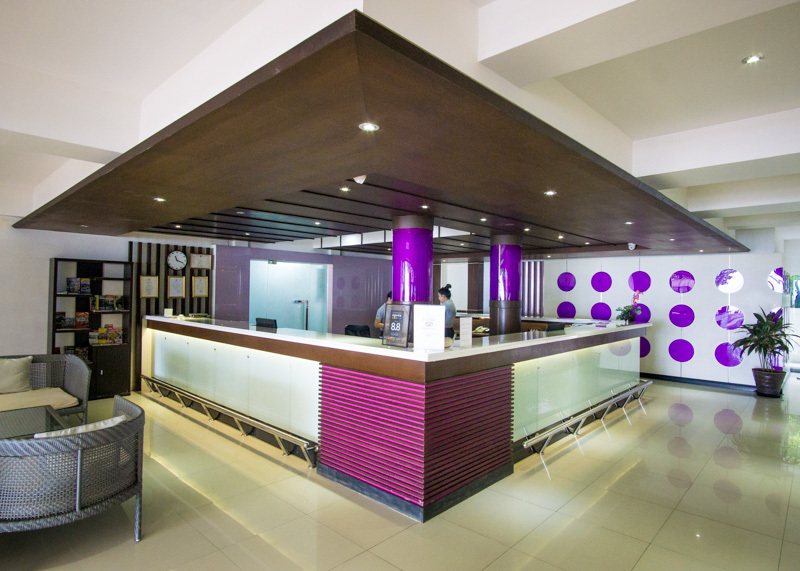 The check-in process was smooth and efficient. Jittima was the patient staff member who checked us in and answered all my questions. We also needed to book a transfer to Surat Thani to catch our overnight train to Bangkok, and she helped with the booking. If you require any help with booking tours, she is your go-to person. 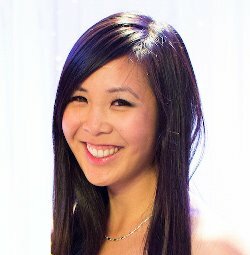 Withun is also one of the friendly staff members you will read about in these Booking.com reviews. 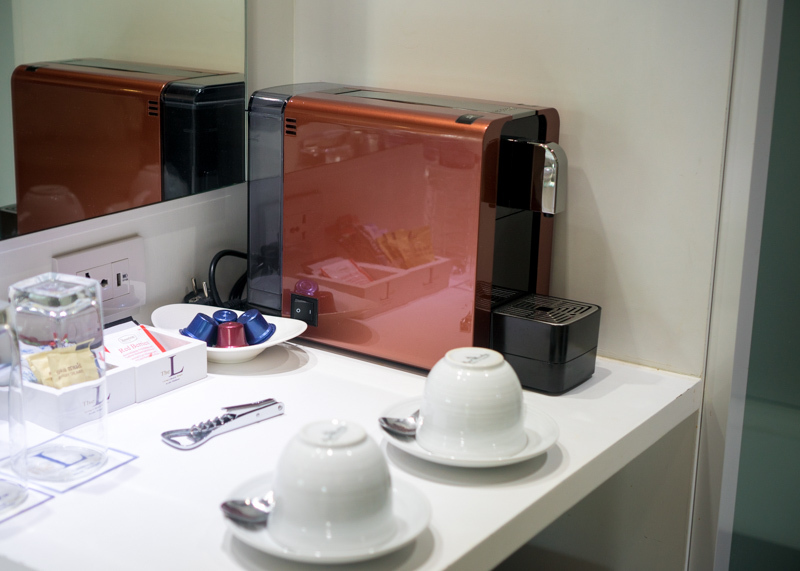 Withun will welcome you with a welcome drink and a warm smile before showing you to your room. It’s always nice to have a staff member walk you to your room because they can help if you have any issues with the room key. It’s a pain to walk all the way to your hotel room only to go back down because there are problems with the room. 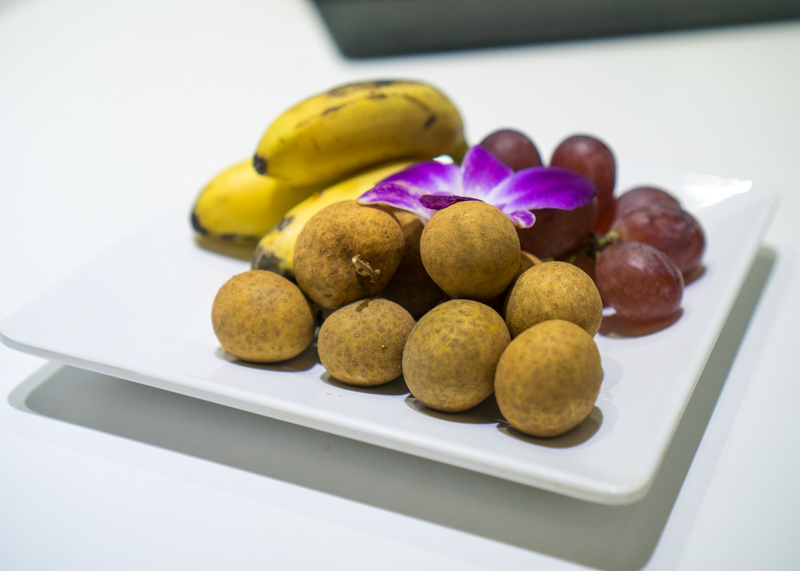 Upon entering the room, we found that a small plate of fruit was prepared for us! 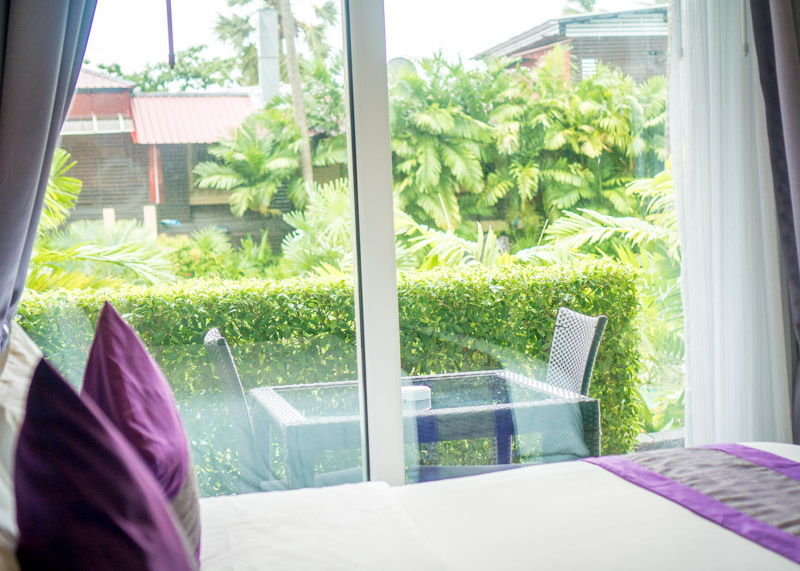 Each room receives an iPad that guests can use to order room service, book a massage or schedule a tour. 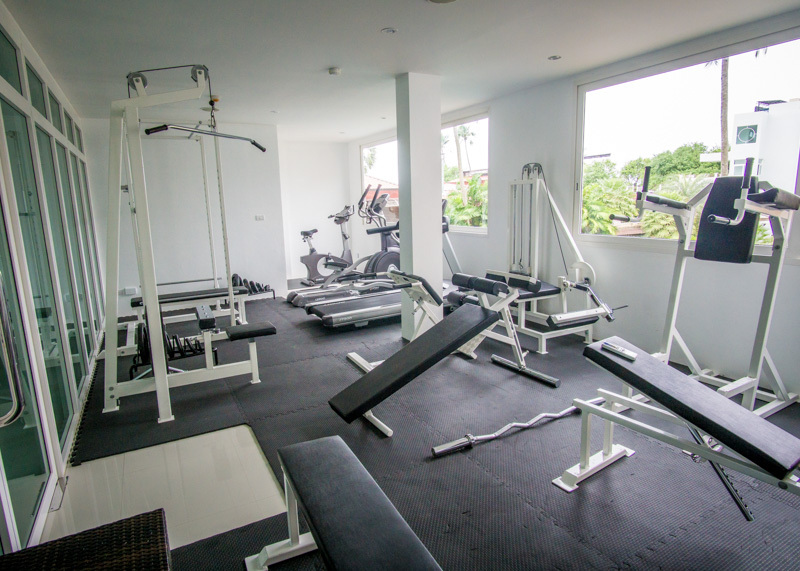 You can also request items from housekeeping and learn more about what to do in Krabi. 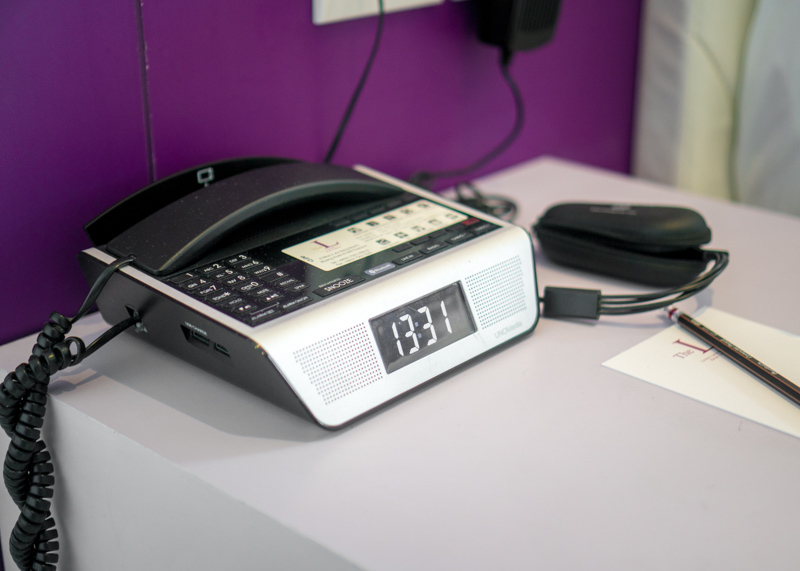 If you ask me, this service is an innovative way to weave technology into our stay. 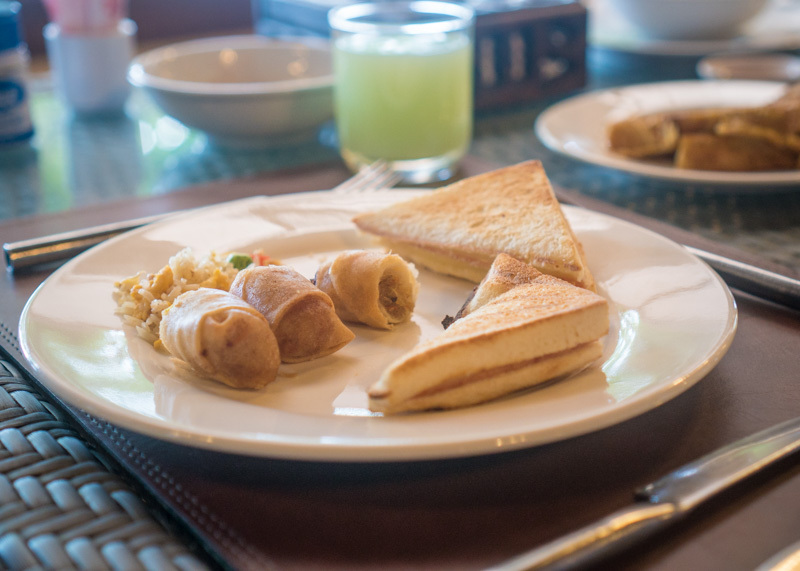 Breakfast was included as part of our stay. 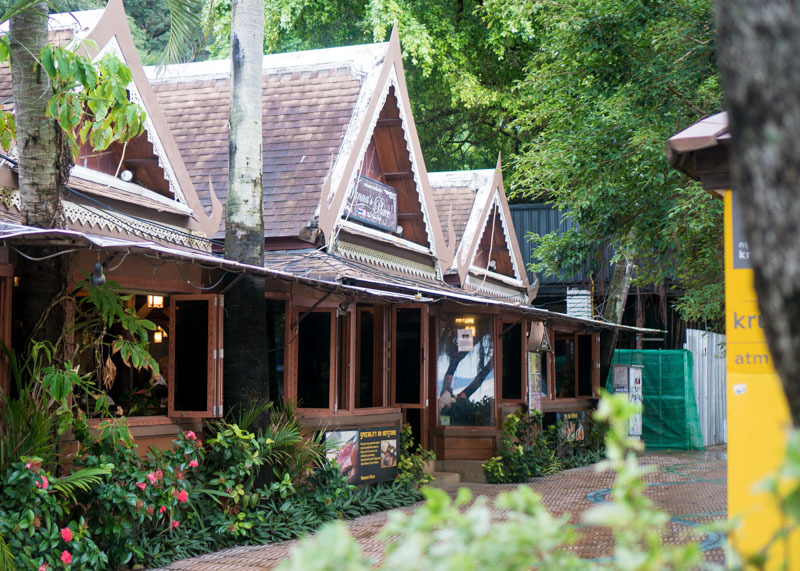 The L Resort’s restaurant is Wanna’s place, which has a fusion of Thai and Swiss cuisine. 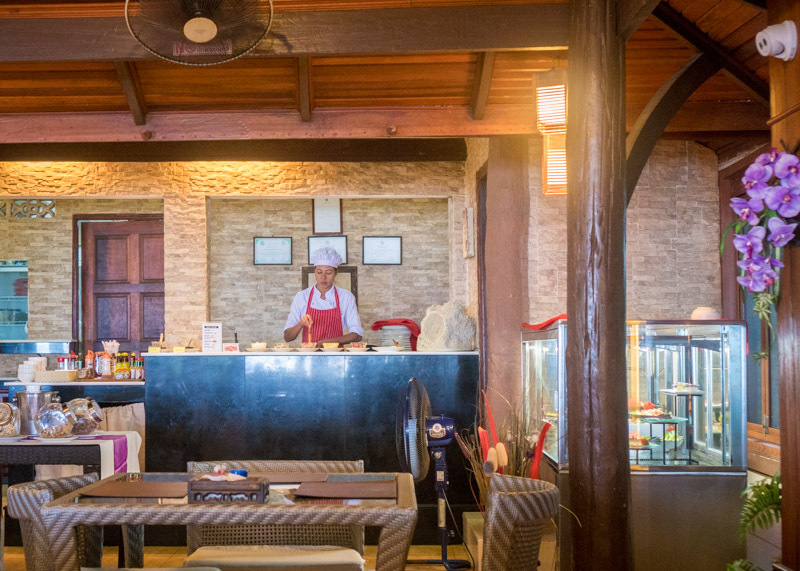 This restaurant must have seen some crazy changes along the Ao Nang strip since it’s been around since 1986. 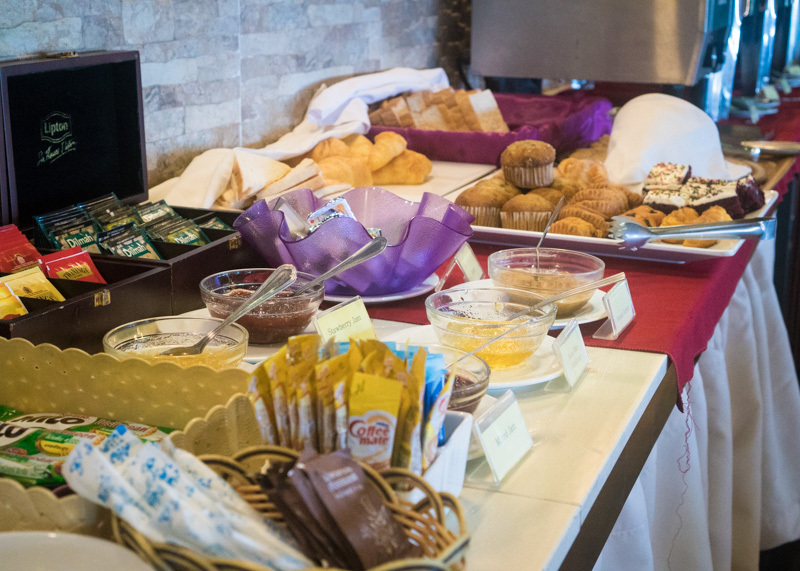 The morning breakfast has quite a spread and of course, had a mix of Asian and western food. 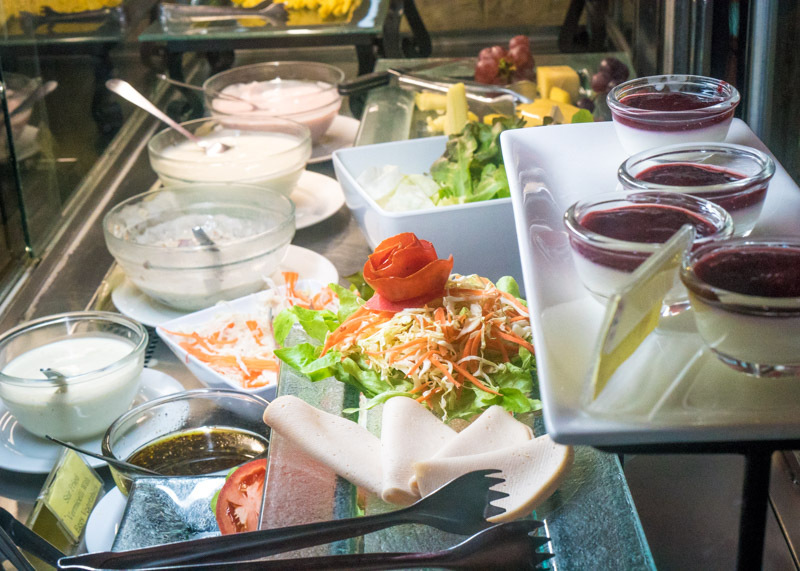 Salads, fruit, yogurt and homemade pannacotta! My favourite part of breakfast was the egg station. 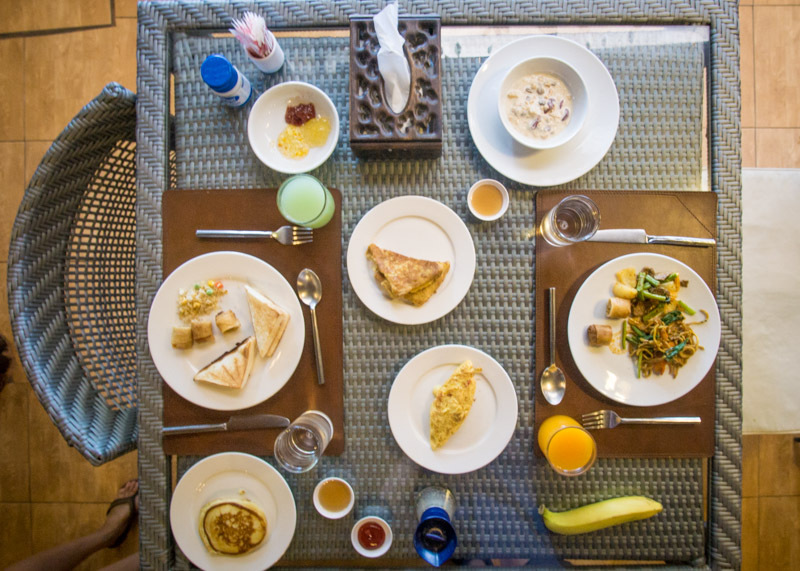 Here, you can ask for fried eggs, scrambled eggs, omelet, French toast, pancakes, or poached egg. 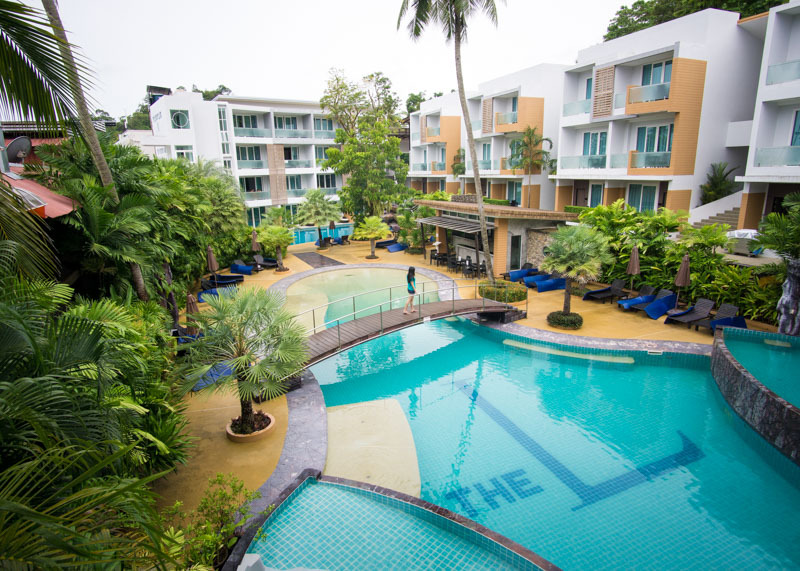 The best part of the L Resort Krabi was the location. 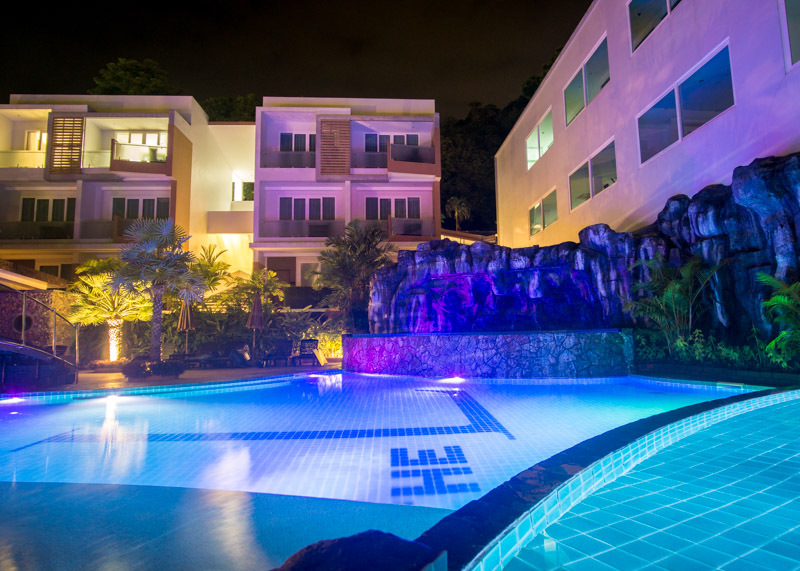 You will see the famous Ao Nang Beach right across the street from this resort. 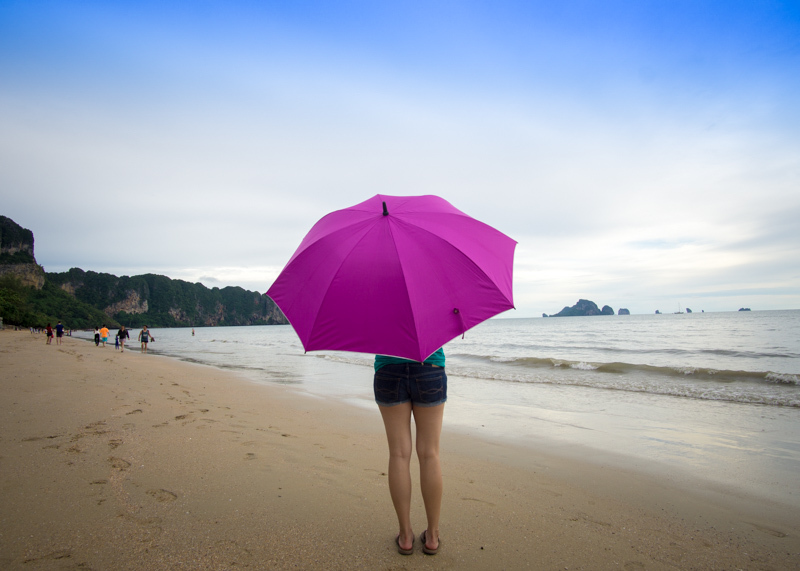 While we visited Krabi during the rainy season, that didn’t stop us from making the most of our stay with the rain. 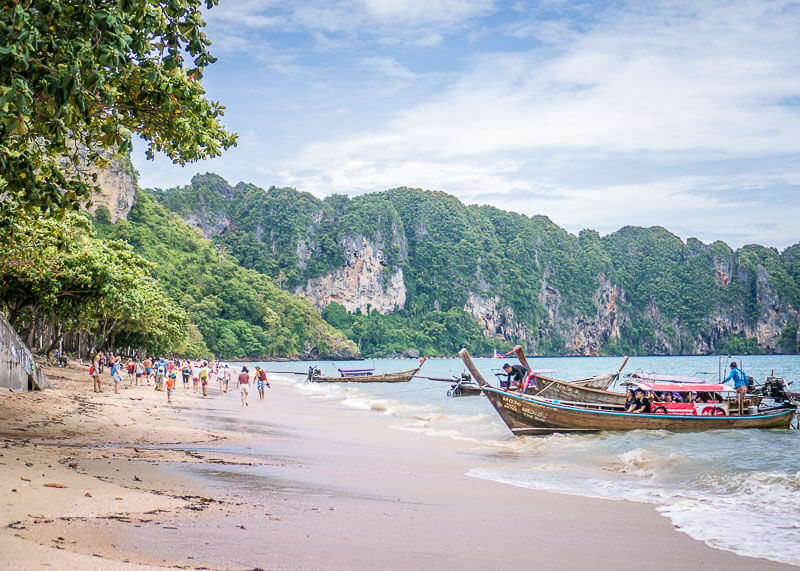 From Ao Nang beach, you can take the longtail boat to Ton Sai or Rai Leh (Railay) beach. Just be careful and don’t take the longtail boat when the weather isn’t very pleasant. 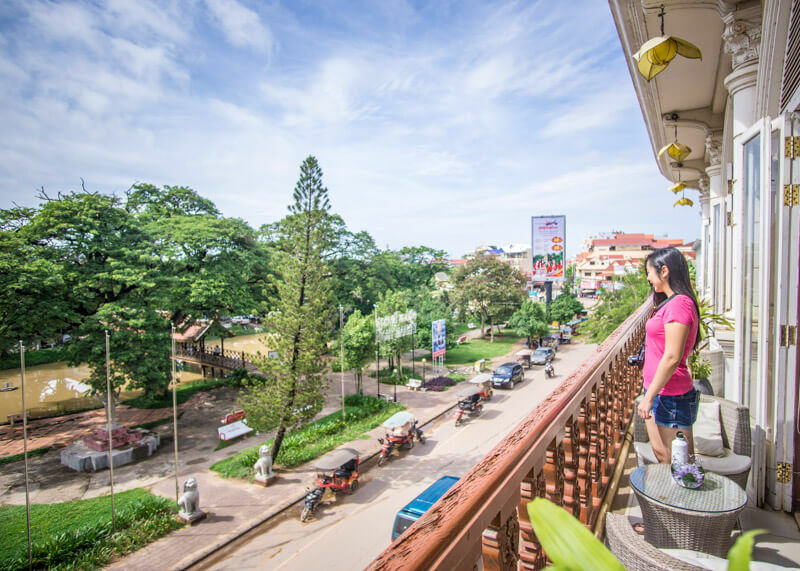 There are small shops, restaurants and pretty much everything you need near the hotel. 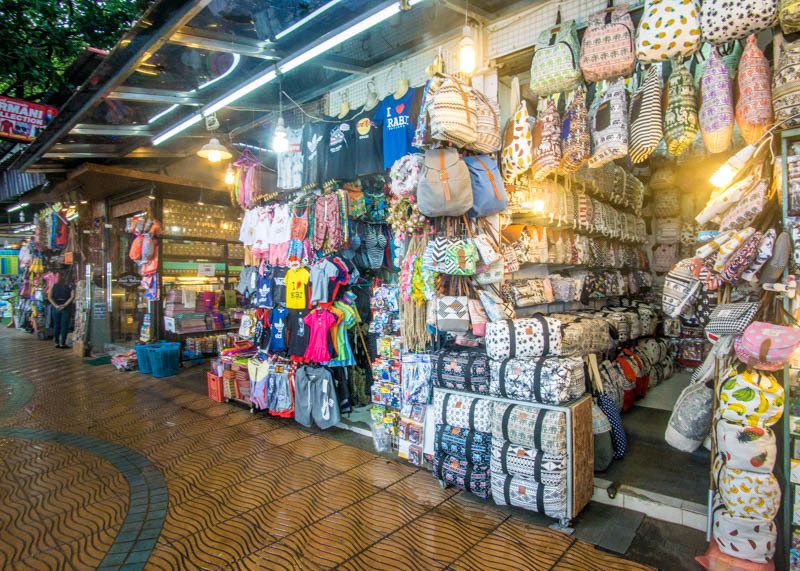 Ao Nang doesn’t have any shopping malls, and most of the stores selling trinkets are along the beachfront. 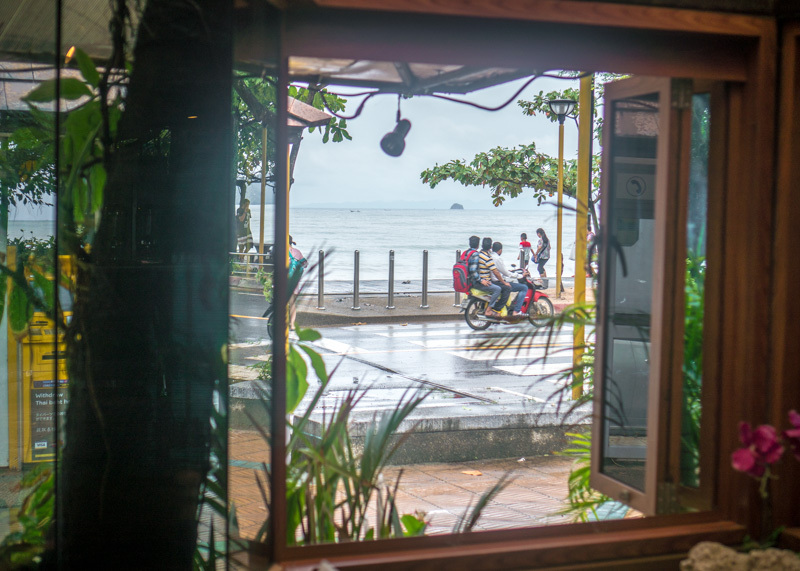 Even though it was monsoon season in Krabi, the nightlife was still vibrant, though not crazy like Phuket. Lights lit up the streets and restaurants were busy with hungry and happy people. We felt safe walking around the streets at night. 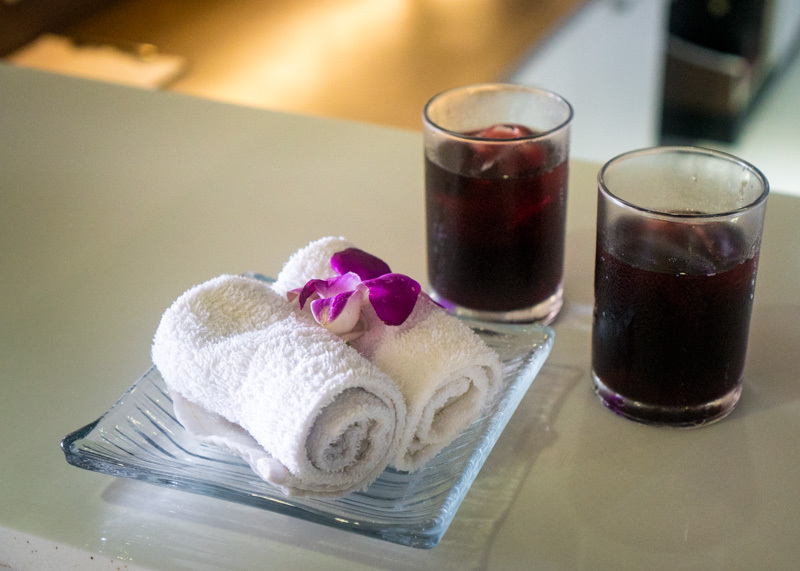 READ NEXT Is The Sheraton Hanoi Hotel Vietnam The Best Luxury Hotel In Hanoi? 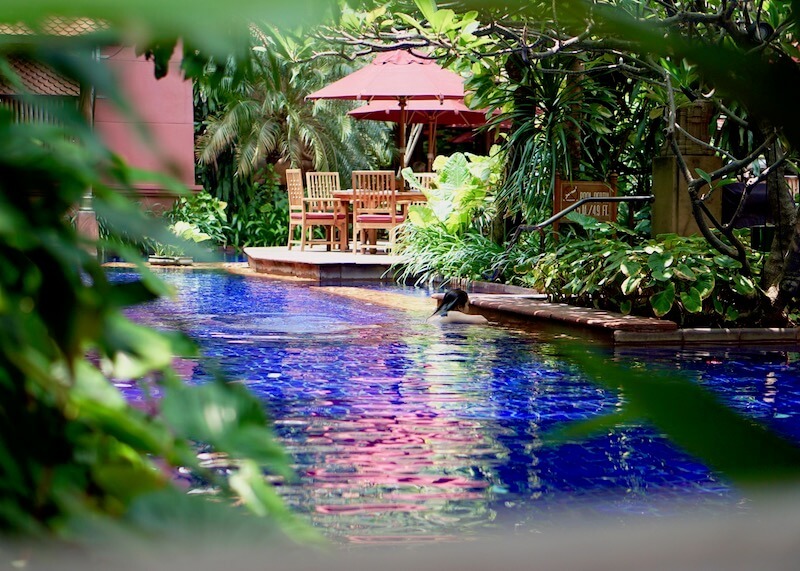 The L Resort Krabi has two swimming pools with large coconut trees surrounding the pool. 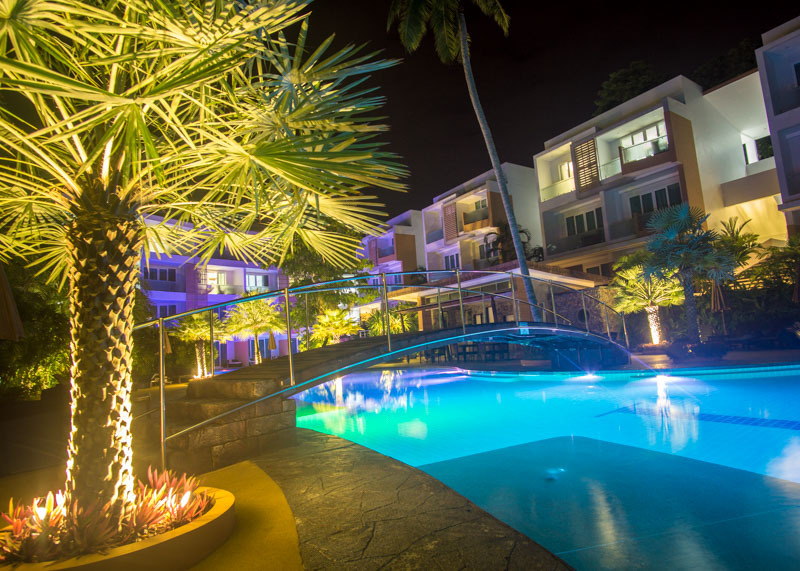 At night, the pool lights up in bold colours that are consistent with the resort’s theme. The pool area with huge palm trees! 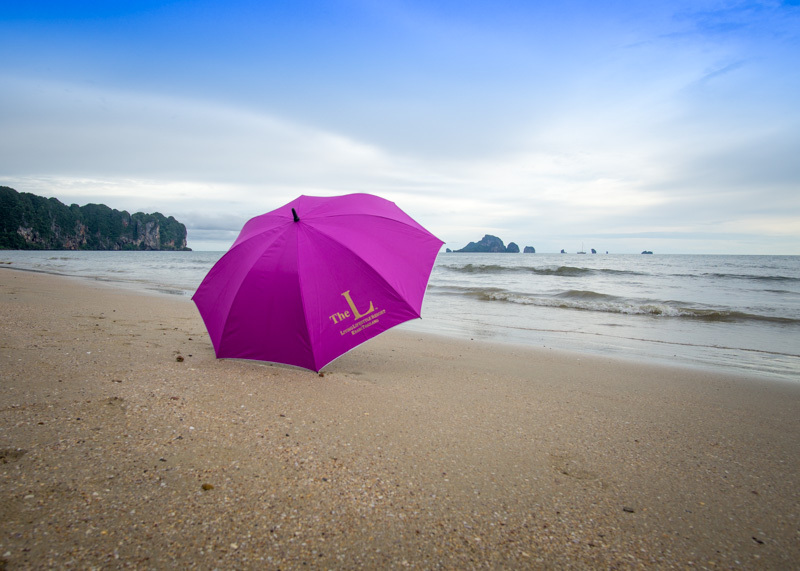 Despite the rainy weather, we loved our stay in Ao Nang at The L Resort Krabi. Sadly, Ao Nang was the last of our life along beaches as we were heading to Bangkok next before continuing north of Thailand. 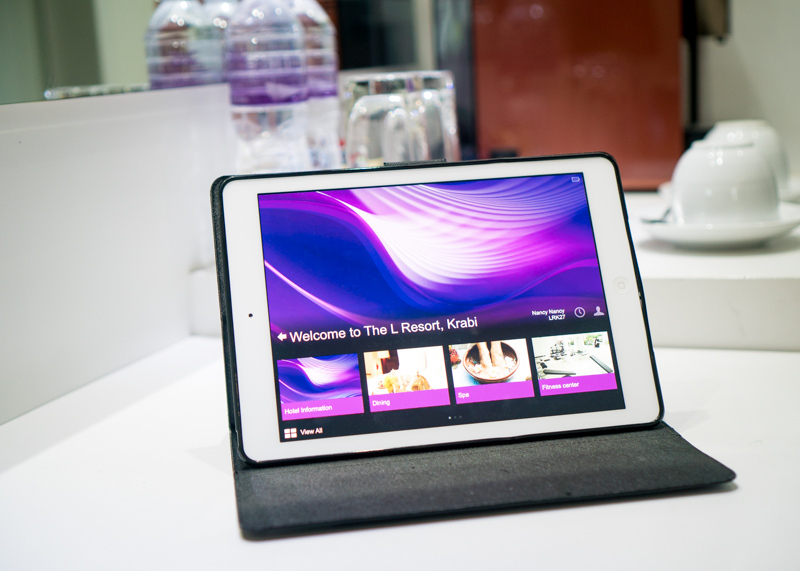 Check out The L Resort Krabi on their website or contact them at living@thelresort.com. Psst… say the email address out loud. Isn’t it catchy? 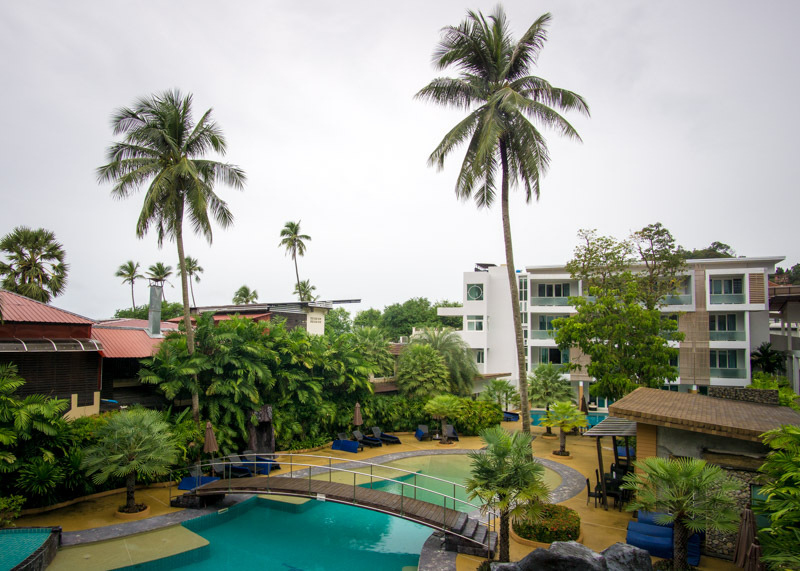 A huge thanks to The L Resort Krabi for hosting us during our stay. 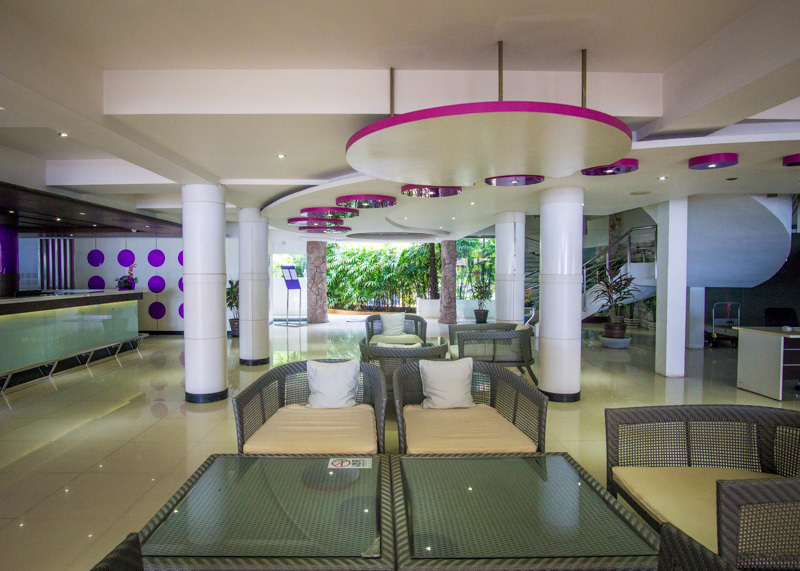 Excellent write-up on this resort hotel. Accompanying pictures help too. Happy travels! 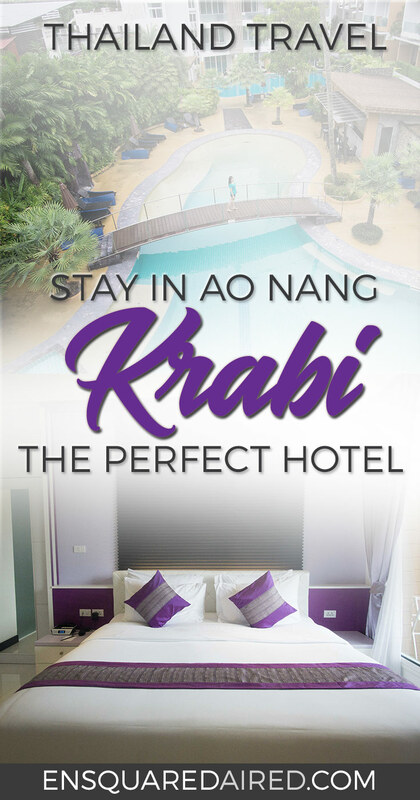 It’s indeed a great place for Ao Nang and so convenient too!